The Supreme Court has asked the Allahabad High Court to consider and decide within six weeks the representation made before it by the petitioner against a provision in the Allahabad High Court Rules calling for a mandatory 10-day notice to the government counsel before a bail plea is made. Petitioner Syed Mohammad Haider Rizvi, a lawyer presently working for a telecom company, had moved the apex court seeking quashing of the “illegal” Rule 18(3a) of Chapter XVIII of the Allahabad High Court Rules saying it is against the basic concept of right to life and personal liberty. It is to be noted that as per the said rule, save in exceptional circumstances, no order granting bail shall be made on an application unless notice thereof has been given to the government advocate and not less than ten days have elapsed between the giving of such notice and the hearing of such application. The petitioner informed the court that his representations to the administrative side of Allahabad High Court on the issue have not been considered yet. 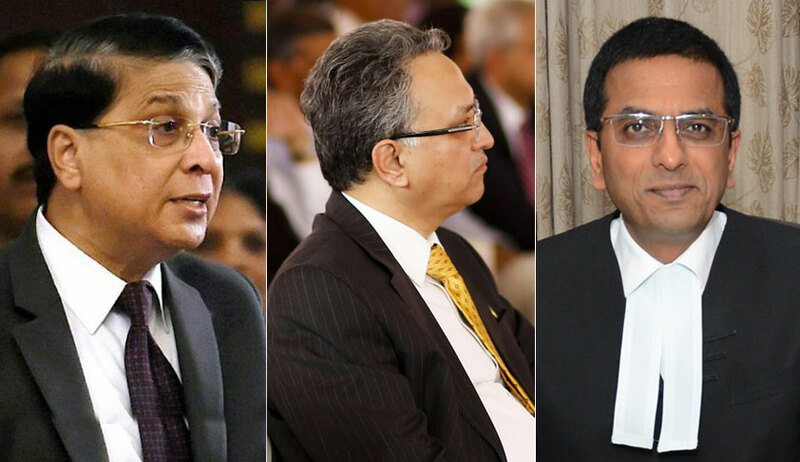 “…we request the high court to consider the representation submitted by the petitioner as expeditiously as possible preferably within six weeks from the date of receipt of this order,” said a bench of Chief Justice Dipak Misra, Justice AM Khanwilkar and Justice DY Chandrachud. Advocate Talha Abdul Rehman, appearing for the petitioner, said the Rule, in effect, provides for a mandatory 10-day prison period for every arrestee even for his bail application to be taken up for hearing and that this rule ignores the cardinal principle of ‘bail is rule, jail is exception’. He also informed about the plea of one Rabindra Kumar who came to the apex court directly from the court of Special Judge, Lucknow, seeking bail on the ground that he has suffered several strokes and he would have to wait for bail because of Rule 18(3) in play. The said petitioner was granted bail in May and the matter is pending before the apex court on his challenge to the said Rule. Rehman also shared how another advocate named Ramesh Chandra Kapil had challenged the rule way back in 1983. The Allahabad High Court had then held that there was no infirmity in this rule while holding that “the Rule does not fetter the jurisdiction of the court to grant bail on an application earlier than on expiry of ten days between the giving of notice and hearing of application. The matter is left to the discretion of the court and its jurisdiction, therefore, is not curtailed”. In the instant petition filed by Syed Rizvi, he cited the Supreme Court’s observation in Hussainara Khatoon’s case wherein it was said that no procedure which does not ensure a reasonably quick trial can be regarded as reasonable, fair or just and it would fall foul of Article 21 of the Constitution. Having himself practiced before the Allahabad High Court, the petitioner suggested that in addition to normal mode of service, service of notice may be effected via e-mail which should be submitted to the filing counter of the Registry. He also suggested that the Home Secretary or the DGO should provide centralised e-mail address to various SHOs. He also suggested that bail orders should also be sent via mail within 24 hours to the authorities concerned to ensure timely release of the person concerned. The petitioner told the apex court that his repeat requests to the high court have not been heard and his representations to the Chief Justice of the high court on two occasions—once in 2015 and then in 2016 did not bring any difference. He said he also moved a representation before the Minister of Law and Justice, Uttar Pradesh, on April 10, 2017, followed by a representation to the Centre but in vain. He sent reminders to this effect before the Allahabad High Court rules revision committee in November, 2017, and March, 2018, also.